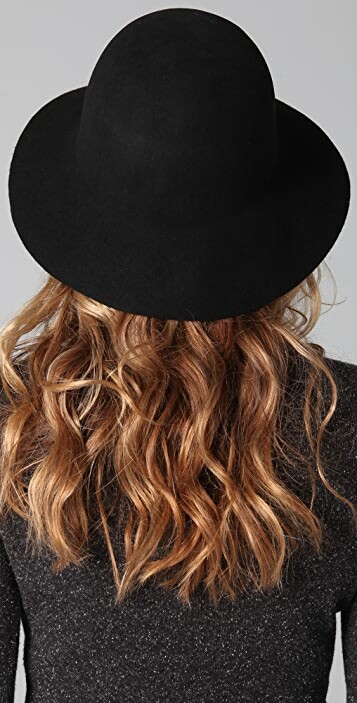 This wool-felt hat features a floppy brim. * 3" brim. 4" crown. I don't usually have issues with hats that are one size, but this hat is way too big for my head... Looks like i'm drowning in it. It's very plain and nothing special about it :( Though the hat feels well made. Just not for me i guess.